New content will be available on the European PlayStation Store later today, which includes over 20 new PS4 games and a handful of new add-on content. New games this week include Hitman 2, Tetris Effect, and PS VR adventure Déraciné. New DLC includes the Summit Striker Pack for Fortnite, and content for WWE 2K19, and other titles. 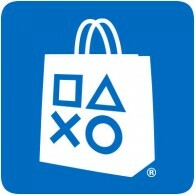 The European PlayStation Store is set to be updated tomorrow with lots of new games and content. Over 30 new PS4 games will be added to the store throughout this week, including Call of Cthulhu, Dream Daddy, Super Pixel Racers and more. You can also find a selection of new add-on content. The European PlayStation will get a massive update tomorrow, with over 30 new games being added through the week. New games this week include the highly anticipated Red Dead Redemption 2, Resonance of Fate 4K Edition, RollerCoaster Tycoon Joyride and more. Check out the full list of new games and DLC below. The European PlayStation has received a massive update this week, with over 25 new PS4 games available to purchase, including four new PS VR titles. New games this week include SoulCalibur VI, Lego DC Super-Villains and Starlink: Battle for Atlas. A demo of recently release Astro Bot Rescue Mission is also available to download this week. The European PlayStation Store has been updated today with lots of new games and downloadable content. New games this week include Assassin’s Creed Odyssey, ASTRO BOT Rescue Mission, WWE 2K19 and over ten other PS4 games. New PlayStation Plus content is also available to download today. The European PlayStation Store has been updated with over 25 new PS4 games and a couple of new PS Vita games. New games this week include FIFA 19, Tekken 7, Jack N Jill and more. This week’s update also includes lots of new add-on content for various PS4 games. New content is available on the European PlayStation Store today, with over 25 new PS4 games coming to the store. New games this week include The Gardens Between, Transference and PS VR title Blind. You can also find new add-on content for various games including Warface, War Thunder and Monster Hunter: World. Check out the full list of new content below. This week on the European PlayStation Store, you can find eighteen new PS4 games, two new PS Vita games and a whole bunch of new add-on content. New games this week include Shadow of the Tomb Raider, NBA 2K19, and NHL 19. There is plenty of new DLC available too, covering twelve different games, and includes some of this week’s new releases.